This PRAT Start 1 Hardcover Portfolio is suitable for the presentation and storage of 23"x31" photographs, digital prints, artwork or documents. 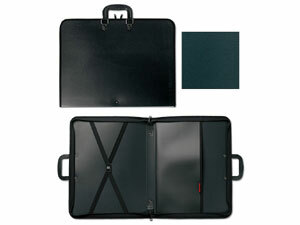 Solid black riveted handles can be folded down making storage of the portfolio easy. Inside dimensions: 23"H x 31"W x 3"